To manage the Raspberry Pi over the network, it is also possible to access it remotely via remote desktop in addition to SSH and VNC. Microsoft’s Remote Desktop Protocol (RDP) enables the transmission and control of screen content over the network. This is particularly useful for Windows users, since Windows already has the appropriate client (Microsoft Terminal Services Client). In the following article I show step-by-step how to set up Remote Desktop on the Raspberry Pi and then access it using Windows/Mac/iPhone/Android. 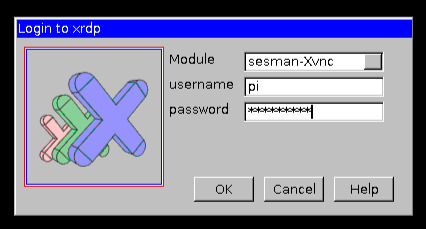 Select the entry »3 Enable Boot to Desktop/Scratch« and then confirm »Desktop Log in as user ‘pi’ at the graphical desktop«. After boot to Desktop has been activated, the actual installation of the Remote Desktop Server follows. Under Linux, XRDP is a free implementation of the Remote Desktop Protocol. We can install these directly using the package manager APT. When the installation is complete, the XRDP daemon starts automatically. The basic installation is already done. In the future, the XRDP server will be started automatically in the background when the system is started. If necessary, the XRDP settings in the files /etc/xrdp/xrdp.ini and /etc/xrdp/sesman.ini can still be adjusted. However, this is not mandatory and may only be required in special applications. That’s why I’m not going to go into that. To be able to access the Raspberry Pi remotely, we need a corresponding remote desktop client software on the client. If you have installed MS Office for Mac, you will find the Microsoft Client at “Applications → Remote Desktop Connection”. Otherwise it can be downloaded via iTunes – Microsoft Remote Desktop. 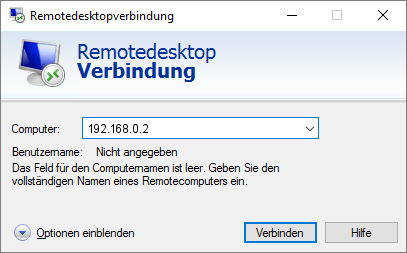 To establish a remote desktop connection with the Raspberry Pi, we must first specify its IP address. After we click on Connect, we get a login screen from the XRDP server of our Raspberry Pi. The access data are identical to those for SSH. If the user or password has not been changed under Raspbian, the default user is pi and the password is raspberry. After successful registration we can already see the desktop of the Raspberry Pi after a few seconds and operate it with mouse and keyboard. When I went to install the ‘sudo apt-get install xrdp’, the installer couldn’t find the http address for the bits. It was clearly available but the command wouldn’t pull the files. I had to issue ‘sudo apt-get update’ and let that process before I could install the xrdp package.